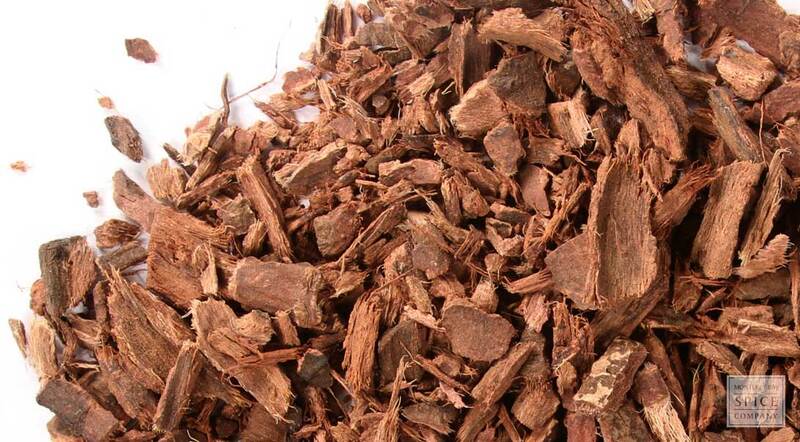 Bayberry root bark comes from an evergreen North American shrub that also occurs naturally in the Caribbean. The herb was introduced to European settlers by the Choctaw of the southeastern US, who used it to make tea. active compounds Volatile oil, Starch, Lignin, Albumen, Gum, Tannic and Gallic acids, Acrid and Astringent resins, an acid resembling saponin. Also contains Myricitrin an active antibiotic. storage tips Store in a sealed container in a cool, dark place. appearance & aroma Woody with a reddish tint. While the berries and leaves smell pine-like, the root has no detectable odor. cosmetic Decoctions of the bark are used to make products for skin and hair. decorative Add to potpourri mixtures for textural contrast. culinary Use the root in tea blends. household The root bark is used like cedar to deter pests in drawers and closets. The bark can also be burned outdoors to deter mosquitoes. wellness Bayberry bark contains calcium, beta-carotene, niacin, magnesium, niacin, magnesium, fiber and astringent tannins. industrial Used to produce natural insect repellents. safety Do not use during pregnancy. 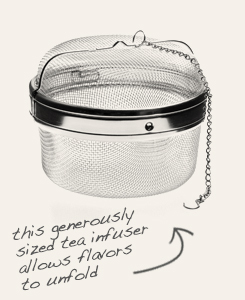 This extra-large mesh tea infuser perfect for brewing infusions with bark. 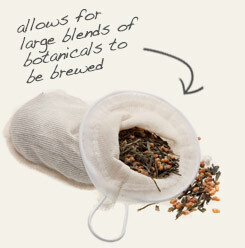 Reusable cotton “sock” to make steeping roots and barks in a teapot easier. Although bayberry occurs naturally in the eastern US, the tree is also found in some parts of the Caribbean and Central America. It thrives in moist environments and, once introduced, readily establishes itself. Bayberry is also grown as a landscaping ornamental plant. The entire tree has practical uses. The fruits are boiled and the resulting wax-like substance is skimmed and used to make candles. This is the source of the traditional bayberry candle that is so popular during the winter holidays due its earthy, pine-like fragrance. Safety: Wax is irritating. Constituents of the wax are reportedly carcinogenic. Avoid in very hot temperatures. Avoid if hypertensive. The	leaves and branches contain high amounts of volatile oils, which make them very fragrant and effective at deterring insects when burned. Although the above-ground foliage is susceptible to destruction from wildfires because of oil content, the root system is unusually fire-resistant. In herbalism, bayberry root and bark has been used for many purposes. New World settlers learned how to boil the bark to make infusions to address minor skin irritations from the native Choctaw of the American southeast.